Taking my love of visuals one step too far. 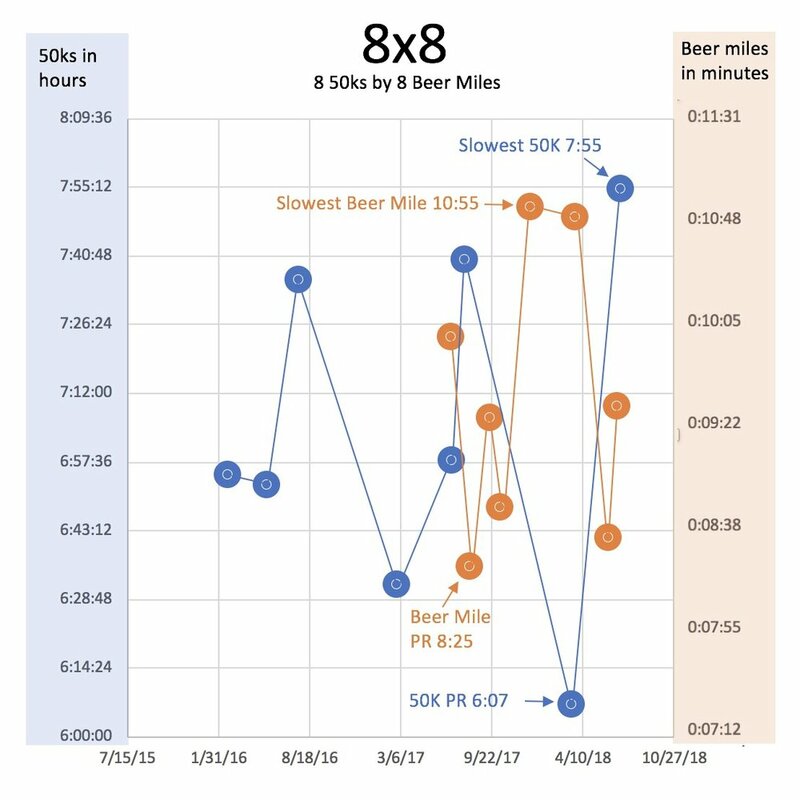 I recently completed my eighth 50k and eighth beer mile within 3 days of either other. So it inspired me to create a chart. Not sure the chart tells a story, other than I can lose all sense of time figuring out how to put hours on left axis and minutes on the the right.